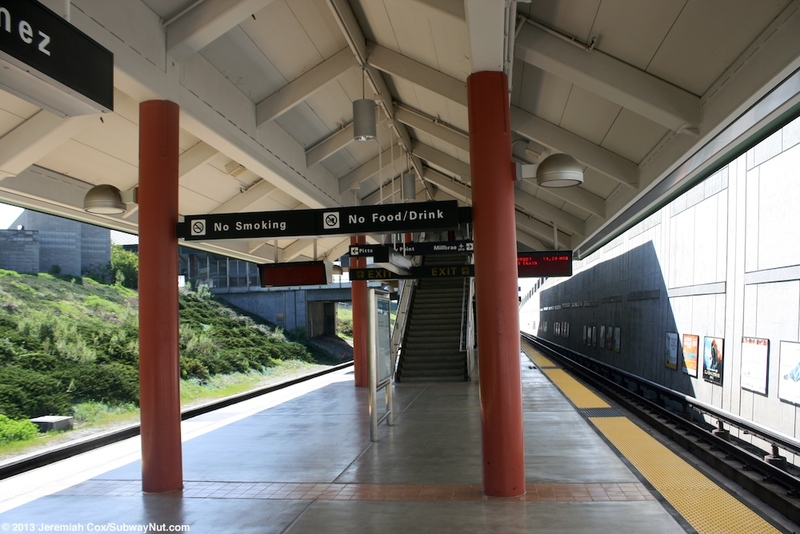 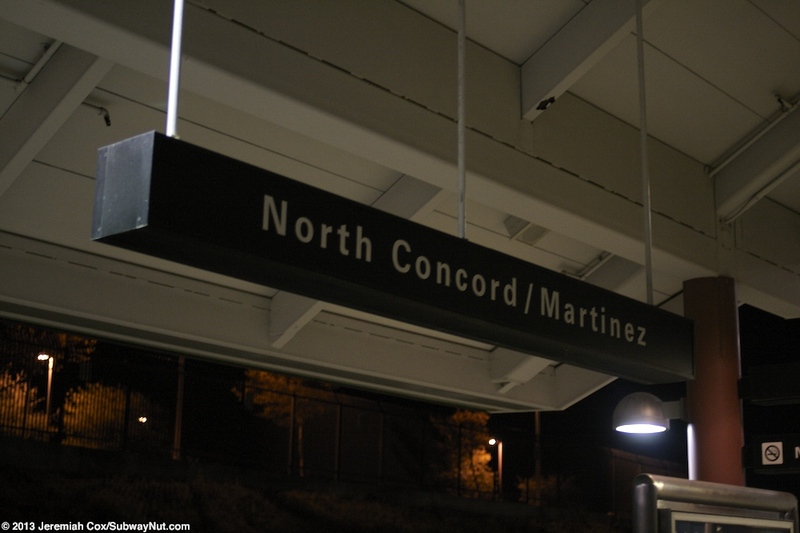 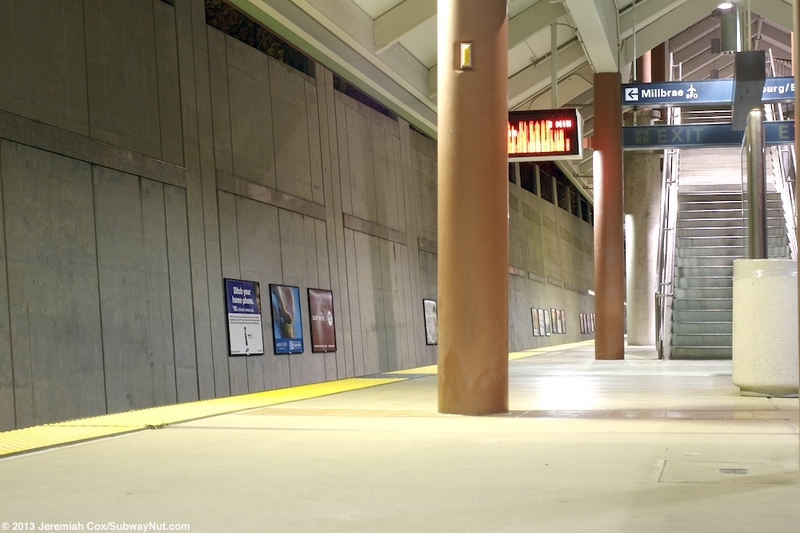 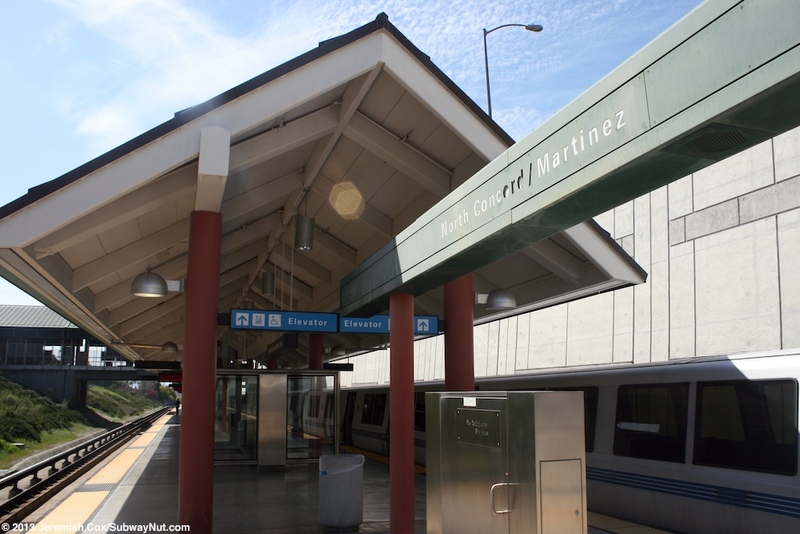 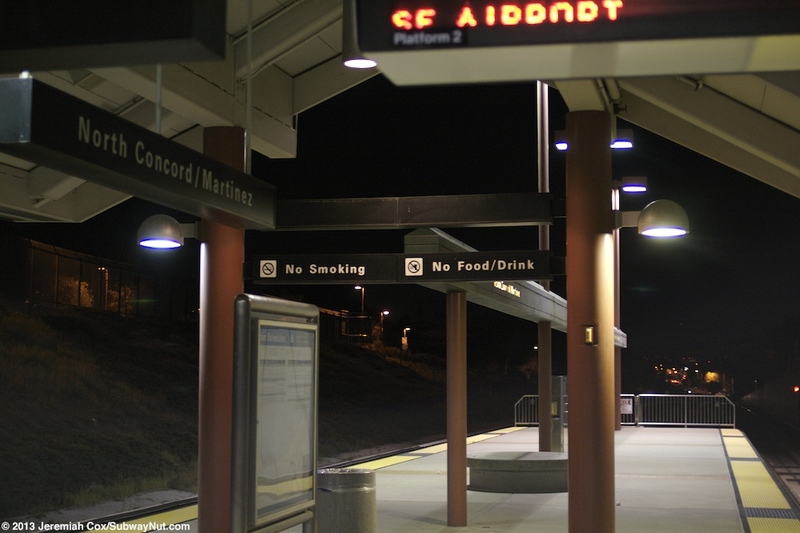 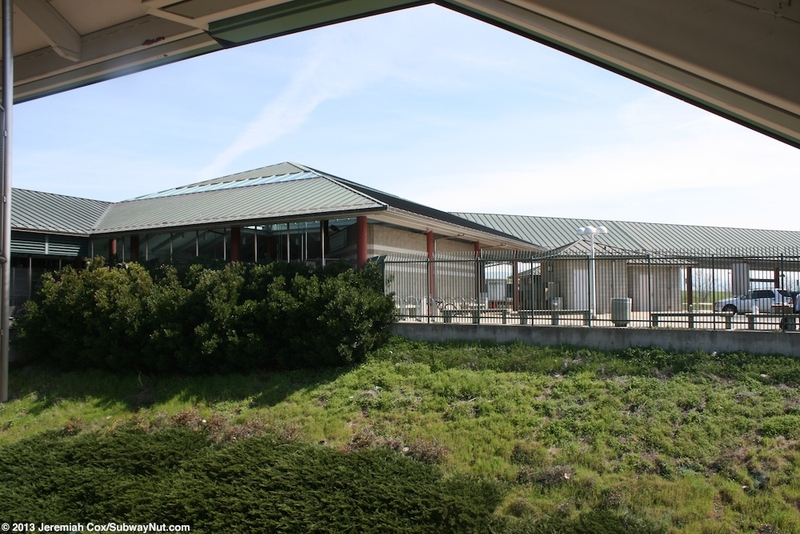 North Concord/Martinez opened on December 16, 1995 and was the first new station to open in 20 years. 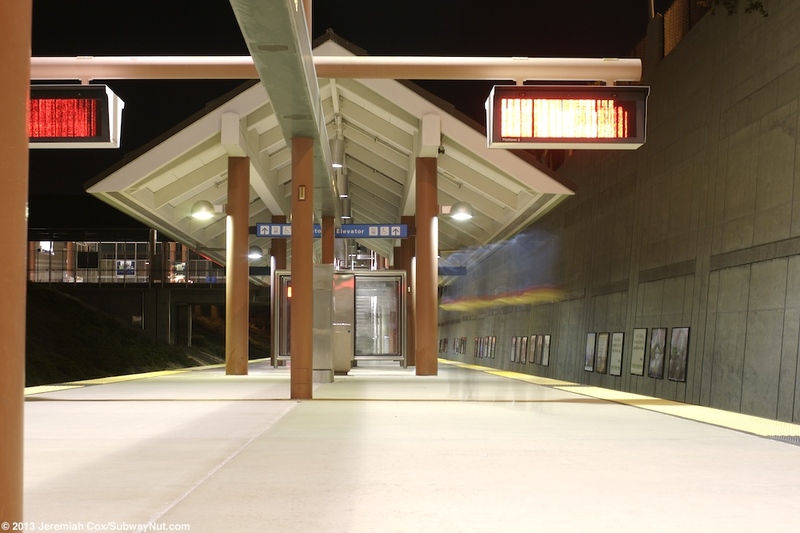 It served as a terminus for almost exactly a year until the extension was finished over Willow Pass. 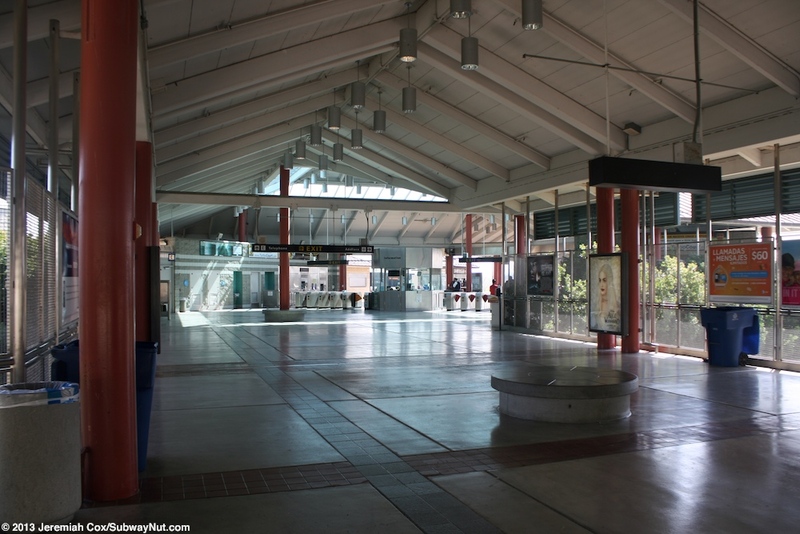 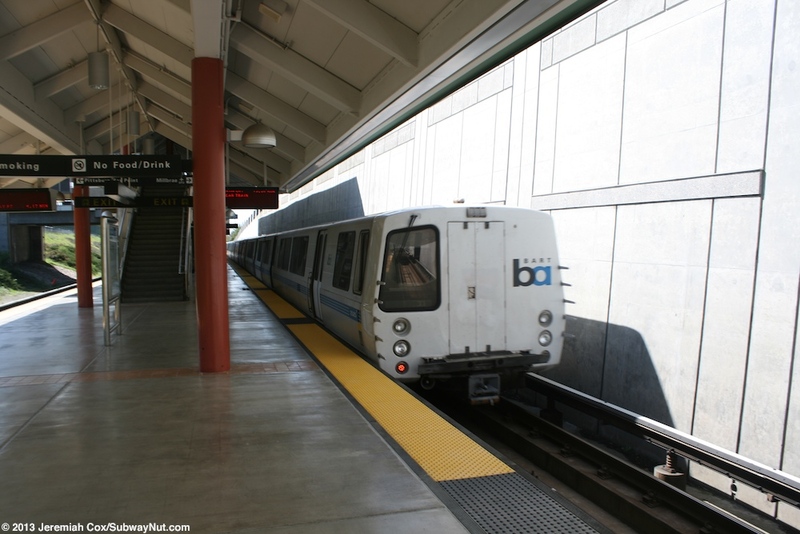 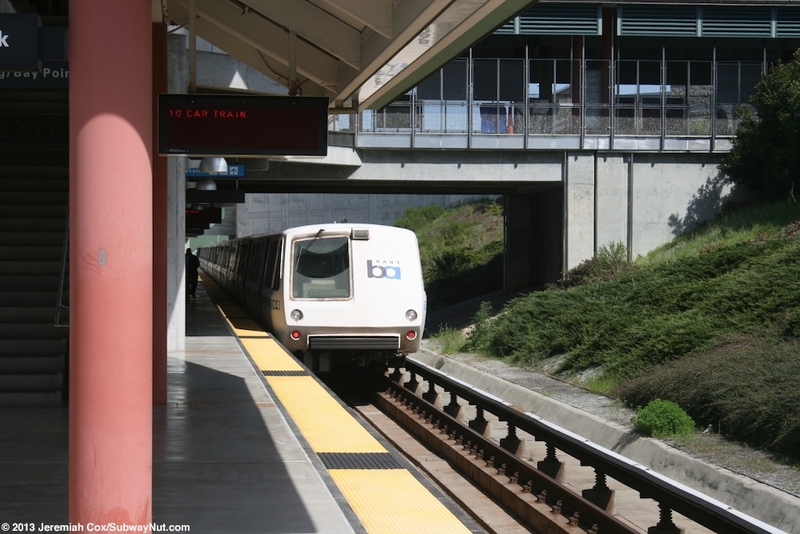 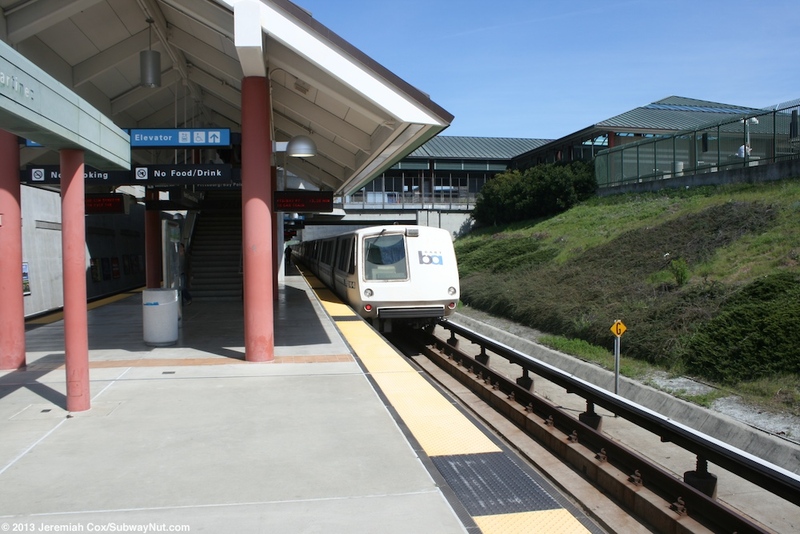 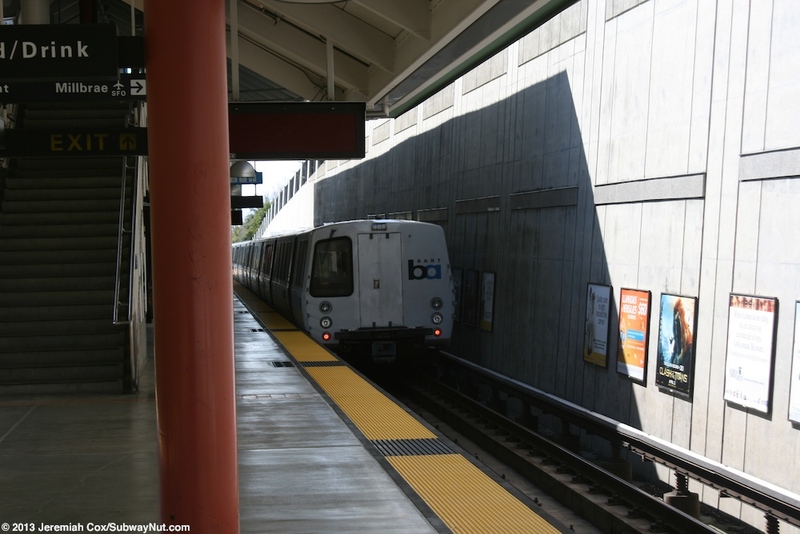 The stop has the dubious distinction of having the lowest ridership on the BART system. 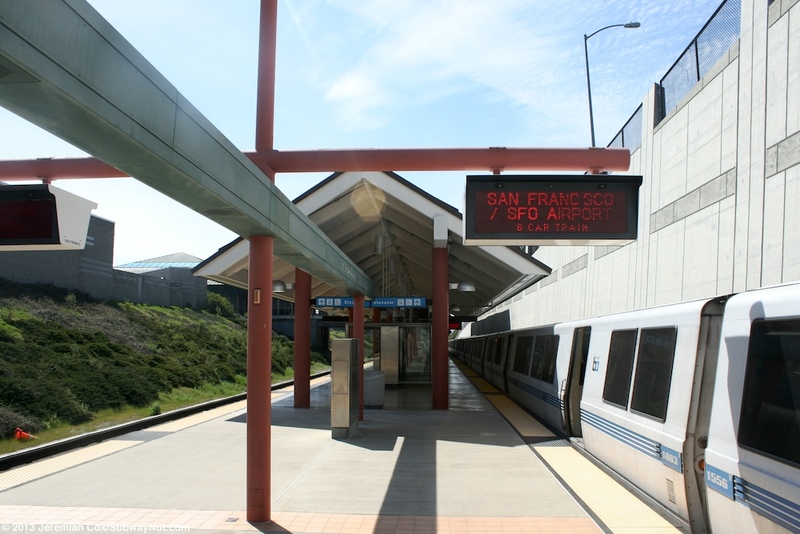 The station has a single island platform for the two tracks and is located in an open cut. 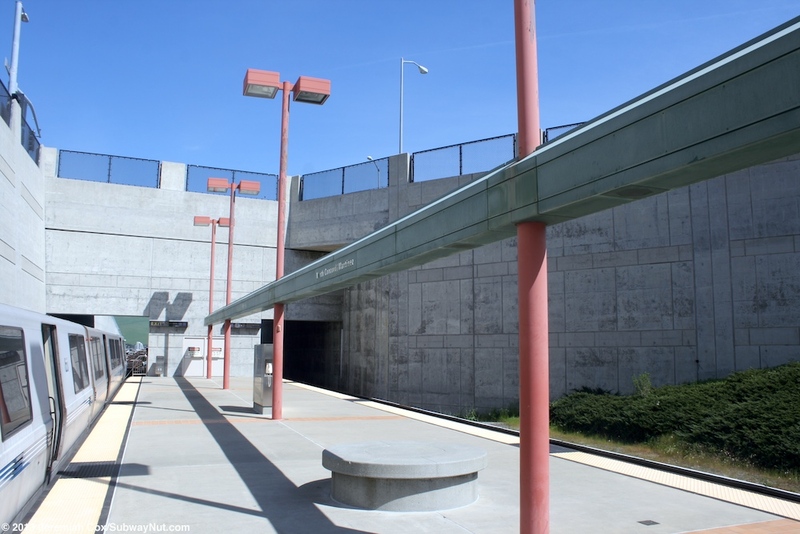 The S.F.-bound track wall is a harsh concrete cut while the Pittsburg-bound track has a more gentle grassy knoll going down to the platform. 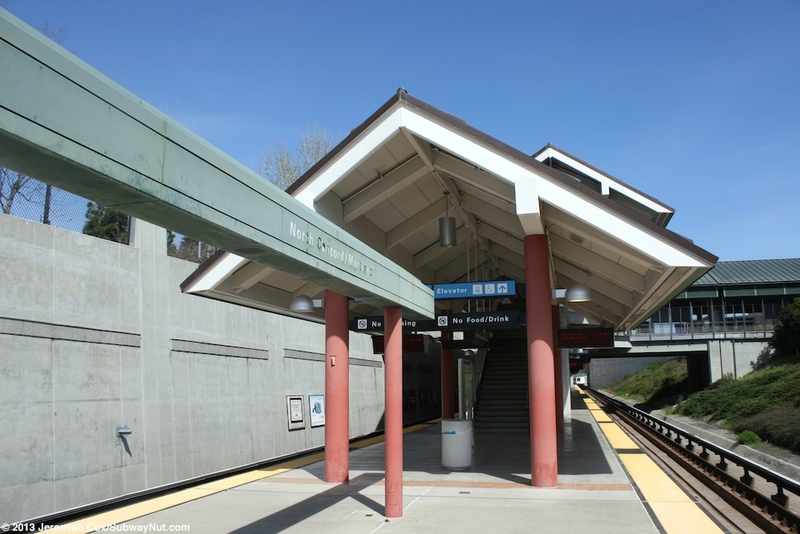 The platform's northern end is the underpass for the tracks of Panoramic Drive. 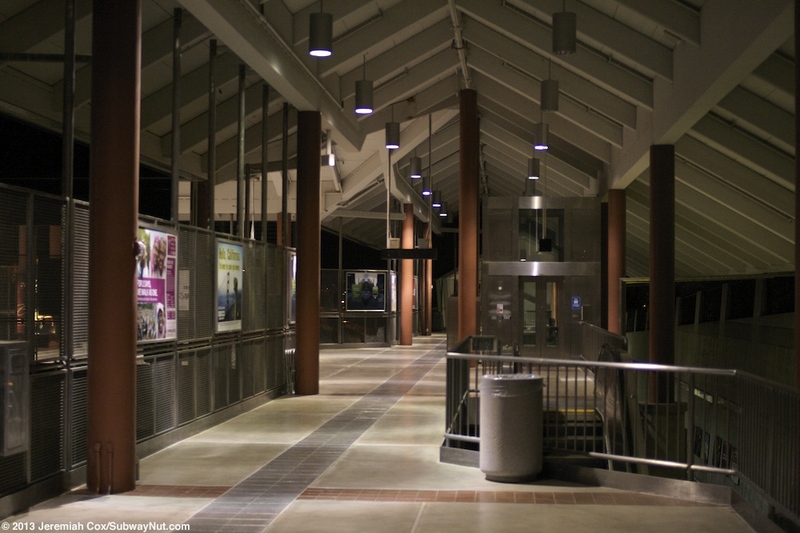 The station has the 'modern' design of pinkish red lampposts and larger columns that hold up a mezzanine over the middle of the platform. 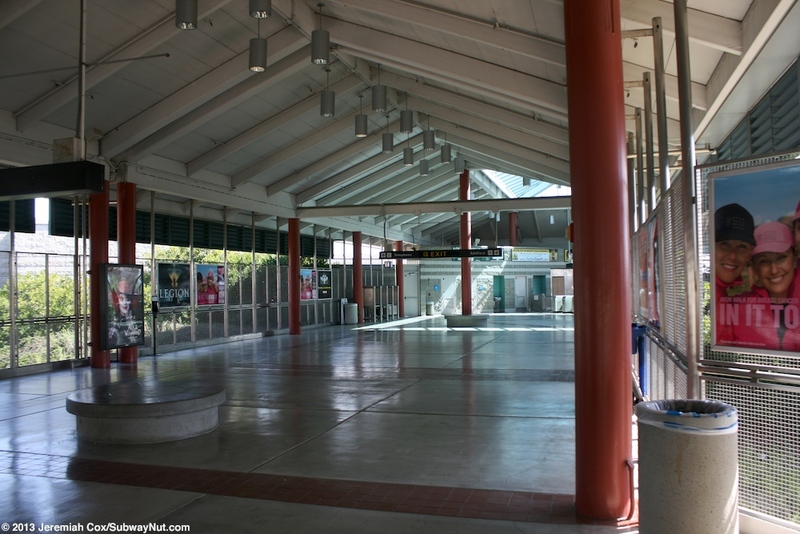 The platforms canopy extends a bit on each end of this mezzanine. 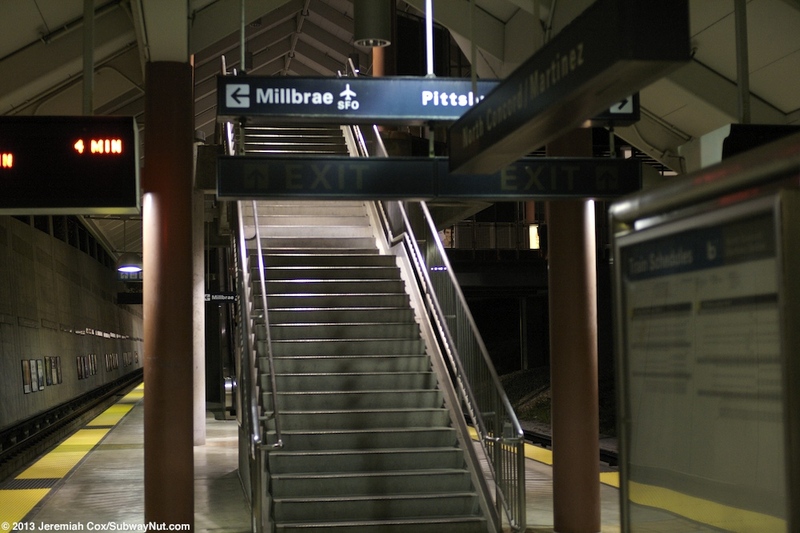 In the middle of the mezzanine a walkway leads across the Pittsburg-bound track and a short ways to the fare gates inside a building. 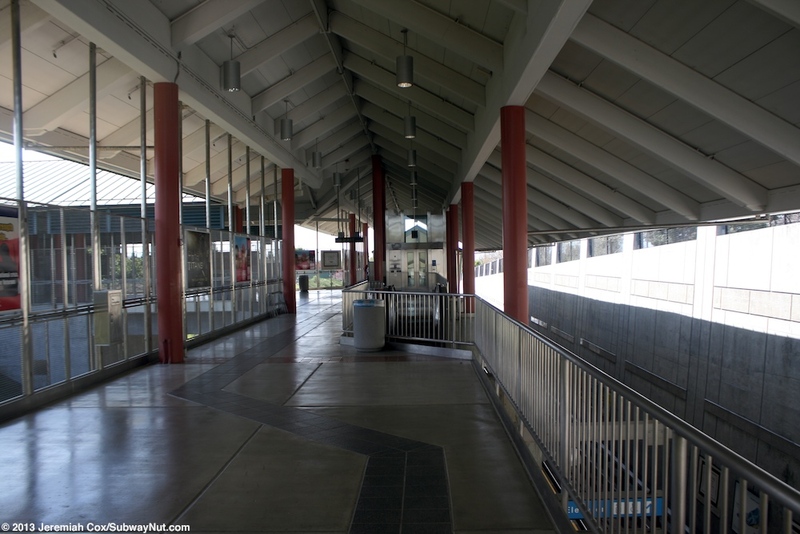 A covered walkway extends a bit from the station with bus stops for county connection buses on one side in a small loop off of Panoramic Drive and the northern edge of the stations 1,997 spaces of parking in 3 lots along the other side. 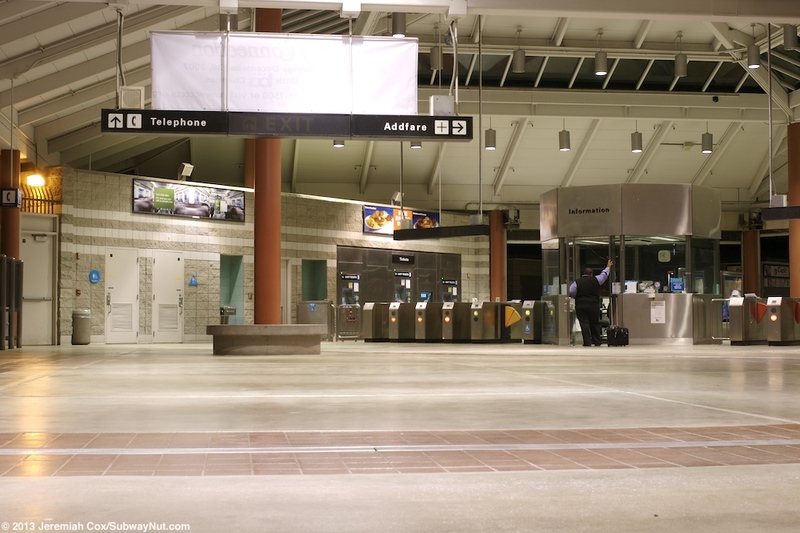 The low ridership at the station of 1,843 average exits per day means the parking lot never fills up.